Snap Inc, the owner of messaging app Snapchat, has moved a step closer to listing its shares on the stock market after settling on which banks will help with the flotation. Sources close to the deal confirmed Morgan Stanley and Goldman Sachs would underwrite the initial public offering (IPO). Several other banks will be involved in the complex process. The IPO is expected to value the company at $25bn (£20.5bn). The listing - which could happen by March next year - would be the largest social media float since Twitter went public in November 2013. Snapchat has seen its popularity surge with 150 million people using it daily to send and receive messages, photos and videos. The app is designed so messages delete once they are read or expire. With 10 billion videos being watched every day, the site has seen a 350% increase in use over the last year, according to Snap Inc. In June, the first lady of the US, Michelle Obama signed up to the app. A round of funding in May valued the company at $18bn, the apparent ease with which money was raised showed investor interest was strong. Data from eMarketer suggested the company could bring in advertising revenue of almost $1bn by the end of 2017, a big rise from the $367m it is predicted to make from adverts this year. Other large startups, such as Uber and Airbnb are also hotly tipped to be considering floating. When taxi-booking app Uber agreed to sell its unprofitable business in China to rival Didi Chuxing in August, it was seen as the removal of an obstacle for a future IPO. Allen & Co, Barclays, Credit Suisse, Deutsche Bank and JPMorgan Chase will also be involved in the Snap Inc flotation, a source with knowledge of the IPO said. 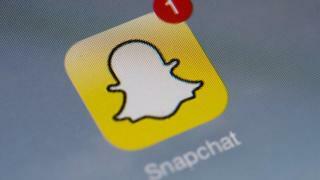 Snapchat declined to comment on the "speculation" surrounding the company's financing plans.